Staying connected with customers is at the for front of every store owners mind. Radio and television ads are great to spread word about your business to larger markets and social media is wonderful to constantly display new inventory and promotions, but what about directly connecting with your customers? The consignment industry is driven by one on one relationships and these relationships can be hard to strengthen through marketing. A great strategy many stores have yet to adopt is creating an email marketing plan to connect with their customers. The opportunities and benefits of a well executed email marketing plan can serve your consignment store long and well. So if you have yet to start using email marketing to help promote your business read through this blog to get some ideas on how to maximize your email marketing strategy. 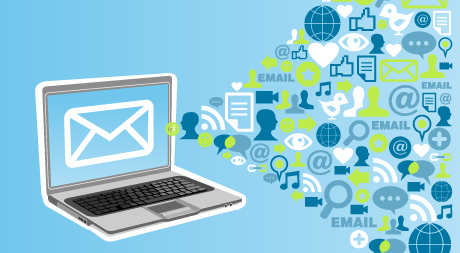 You will need to subscribe to an email marketing service to send out large amounts of emails to your customers. When sending out emails through Gmail or Outlook, attaching more than five email addresses to an email can flag your email as spam and end up not reaching many of your customers. We suggest using MailChimp, not only because it has many services that come with it at zero cost, but also because it is very strait forward, easy to use, and allows you to build beautiful email templates with ease. Before you send your first email make sure that you have a set plan of what you are going to send out, who to, and when. Preparing a well organized posting schedule will not only help you with your hectic schedule running a consignment store, but it will also increase the reception and interaction from your mailing list. You do not want to bombarded your customers with emails, which can result in your customers unsubscribing from your email list or stop shopping at your store all together, but you also want to make your emails frequent enough that they are expected and welcomed by your mailing list. To start out, plan on doing one email at the beginning of the month as a way to connect with your customers, then increase the number of emails you send out with time. Once you have gotten your email strategy up and running, you want to start concentrating on sending more targeted emails to specific customer or consignor groups. A general newsletter is a great way to peak everyone’s interest, but giving special deals to specific customers is a great way to increase revenue for your store while also rewarding your most active customers. Most software solutions, including Ricochet, allow you to see your top customers and consignors. Make sure to offer these groups special deals every now and then to show your appreciation. Also, give an incentive for new customers to sign up for your email list with a one time discount available to them once they have signed up for your newsletter.